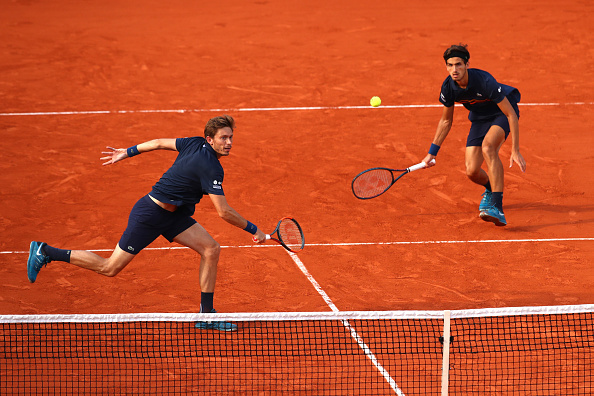 Nico Mahut and Pierre-Hugues Herbert claimed the French Open title infront of a home crowd after defeating Oliver Marach and Mate Pavic in straight sets. 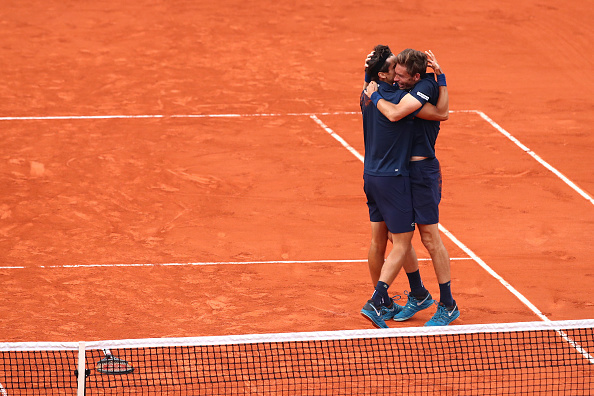 Pierre-Hugues Herbert and Nicolas Mahut wrote themselves into the record books as they became just the third all-French team to win the Roland Garros title in front of a packed home Philippe Chatrier crowd. The sixth seeds defeated the second seeds Oliver Marach and Mate Pavic 6-2, 7-6(4) to claim their third Grand Slam title. Playing in front of a home crowd can add pressure, especially in a Grand Slam final. But the sixth seeds made the perfect start on the Pavic serve by bringing up two break points before breaking via a double-fault. The pressure was certainly on the Frenchmen as they battled to save two break back points to in a lengthy game for 2-0. The pair then had their chances for a double break as three break points came and went with Marach coming through for the second seeds. Following break points galore, the third game was an easy hold for Mahut who made it 3-1. Two more service games passed by and the sixth seeds kept their lead to make it 4-2. On the Austrian's service game, two breakpoints arrived following a pinpoint accurate return. A lackluster backhand from Marach gifted the break as the Frenchmen went 5-2 ahead. The second seeds had a momentary look at 30-all but a solid unreturnable first serve by the 36-year-old gave him and Herbert set points. A timely ace sealed the set 6-2 in 39 minutes. Both teams began the set by holding serve for 1-1. Serving first in what would be a crucial set for both teams, the second seeds would constantly put the pressure on. But in the fourth game, they put some serious pressure on the home favorites as they sent the game to deuce with Mahut putting a backhand shot wide. But he and Herbert won the game to stay in touch at 2-2. The seventh game of the set is where the match started to open up. With the crowd in full voice, the sixth seeds grabbed a breakpoint at 30-40 with the 27-year-old spotting Pavic's move at the net and playing a backhand winner into the open court. A Marach double fault handed the game but the French pair couldn't hold and were broken back for 4-4. Three games passed and the second seeds piled more pressure on the home favorites as the momentum began to shift. The pair got tight as the 37-year-old sensed his opportunity to force an error to bring up double set points. The Frenchmen dug in to save all three but more pressure arrived with a fourth set point. They saved a crucial fourth to send the game to a tiebreaker. At 5-4 in the breaker, they gained two championship points. One was only needed with Herbert serving and volleying his and Mahut's way to the title.